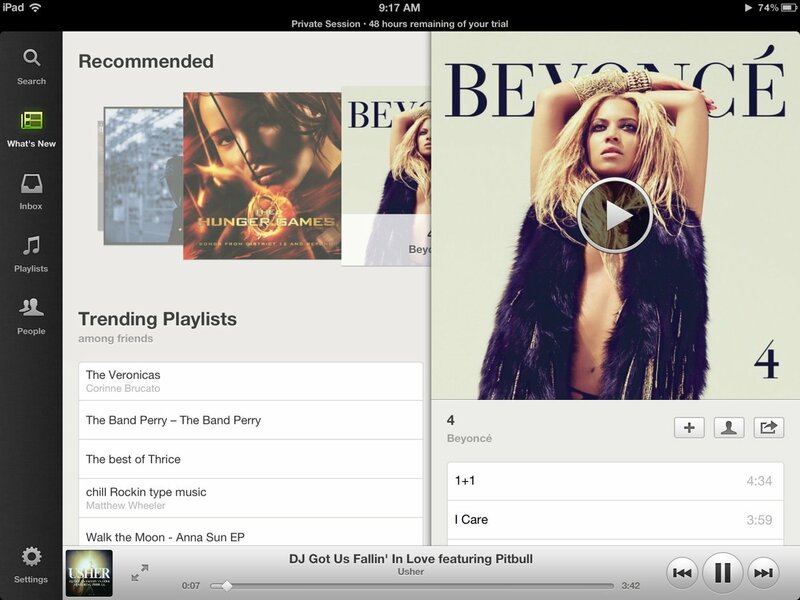 The popular music streaming service Spotify has updated their app with proper iPad support. 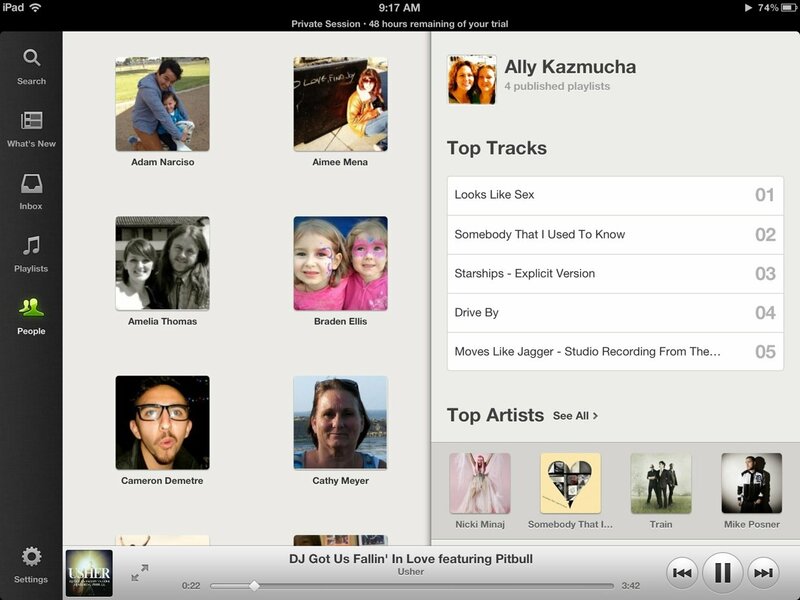 Now you can enjoying millions of songs and discover and share music on your iPad's larger screen. The iPad version isn't simply a big version it's iPhone counterpart either -- it's optimized to take advantage of the larger screen and looks amazing. A Spotify premium subscription is needed to use the service on the iPhone or iPad, but you can try it out for free for 48 hours -- and can be extended to 30 days. The free trial didn't work for me the first time I logged in, but once I logged out and back in, it worked like charm. 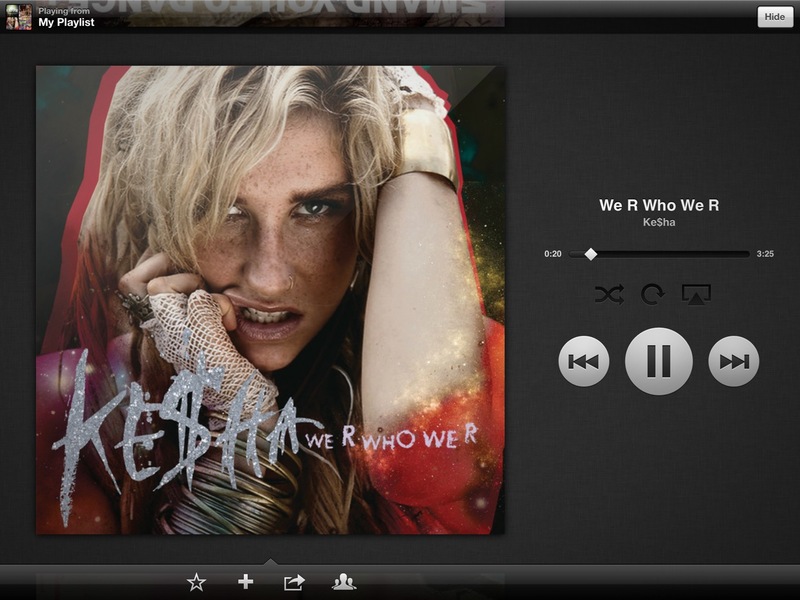 On the What's New tab, you'll see a bunch of album artwork along the top that can be scrolled though. These are new songs and can be played instantly. As you scroll through the page, you'll discover trending playlists and top tracks among friends, new releases, and trending playlists and top tracks near you. Tapping any of the music or playlists will slide out a panel on the right that lets you find out more about it and stream it if you wish. If you're listening to music, you'll see the "now playing" toolbar at the bottom of every screen. You can also blow this up to full screen so that you can view the album artwork nice and big and in all its glory. From the Playlists tab, you can access playlists that you have set up on iTunes and playlists you've created with Spotify. Selecting a playlist will also slide out the window on the right and display a collage of artwork of songs that appear in the playlist as well as a lists of the songs in the playlist. 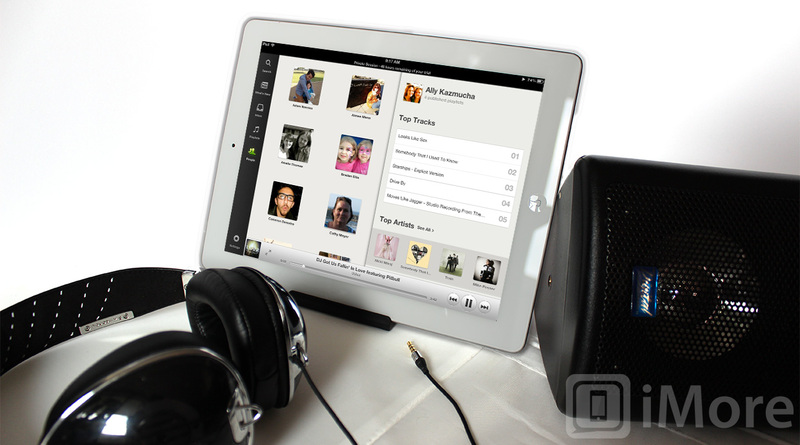 The People tab is where you go to see what your friends are listening to. If you connect Spotify with Facebook, all your Facebook friends who use Spotify will automatically show up in your list. Tapping on a friend will again slide out the column on the right and display your friend's top tracks, top artists, and published playlists. In Settings, you can enable offline mode, switch to a private session (which expires after 6 hours of inactivity), choose whether you want to show what you listen on Facebook, and more. Must have a premium subscription to use Spotify mobile. No free radio available. Spotify did a fantastic job with this app. There is a sense of uniformity when using it and the multi-panel design is very implemented. My only issue is that if you don't have a premium subscription, the app is completely useless. Spotify really should include free radio in their mobile apps.